As long as they look like this. If you saw our Oscars best-dressed gallery from earlier this week—alt title: Black-Tie Goes Baroque—or caught a glimpse of the trippy purple Hermes bag we included in our recent roundup of designer drops, you know that men’s style is in quite an opulent place right now. Apply that mood to these cozy times in men’s retail, and you’ve got a recipe for some deeply swaggy clothes. In essence, luxury pajamas you can wear outside of the bedroom. 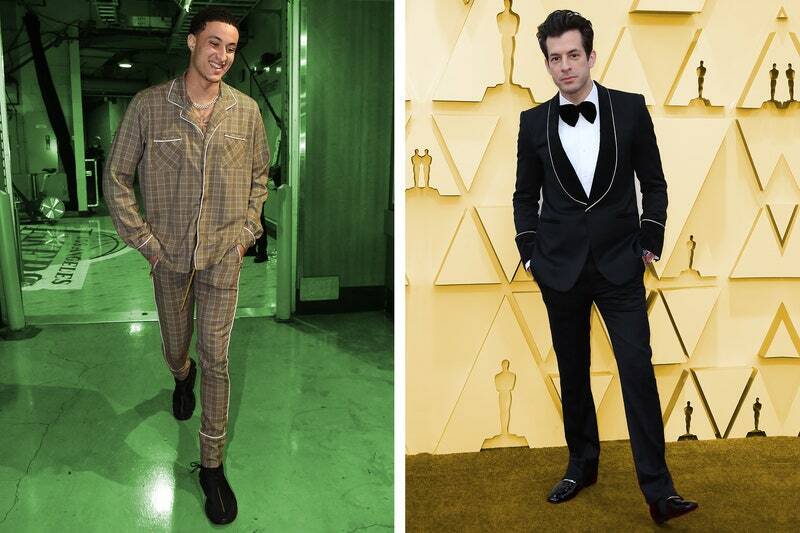 On the formal side you’ve got robe suits and slippers, the kind of Hugh Hefner fare worn by guys like Mark Ronson and Lakeith Stanfield on the red carpet. On the casual side, the side that’s more built for a bodega run, you’ve open-collar shirts and drawstring pants fashioned out of breezy fabrics like silk. NBA’s finest including Kyle Kuzma and James Harden have embraced this look. Either way you slice it, you currently have permission from the style gods to be wildly over-dressed and ready for a bubble bath at the same time. If, like us, you require something slightly more low-key than the purple silk robe Boots Riley wore to the Critics’ Choice Awards earlier this year, there’s plenty out there that’s a notch more wearable. An open-collar shirt in a vertical stripe is an entry-level move that gently nods to the idea of pajamas without going full Frasier. Wear it with drawstring pants and you’re nearing NBA-levels of chill. If you like to dress up, slippers will make you feel like a king. Or get your hands on a robe-tied suit if you’re really committed to the luxe-leisure life. Remember: The only rule at a pajama party is that you enjoy yourself.